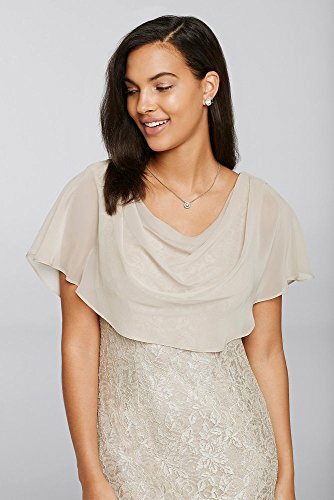 David's Bridal Short Glitter Lace Mother Of Bride/Groom Dress With Chiffon Capelet Style. Product prices and availability are accurate as of 2019-04-17 02:30:26 UTC and are subject to change. Any price and availability information displayed on http://www.amazon.com/ at the time of purchase will apply to the purchase of this product. Designed by Jessica Howard Perfect for the Mother of the Bride or the Mother of the Groom. 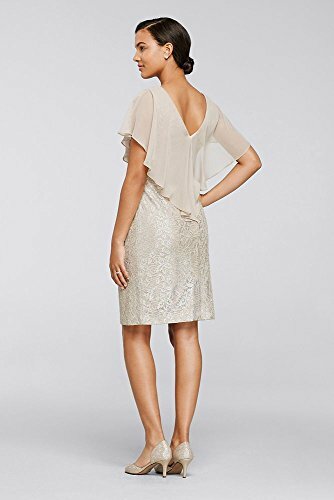 This stunning silhouette is a stylish choice for any event or special occasion.